Daily Vlog No. 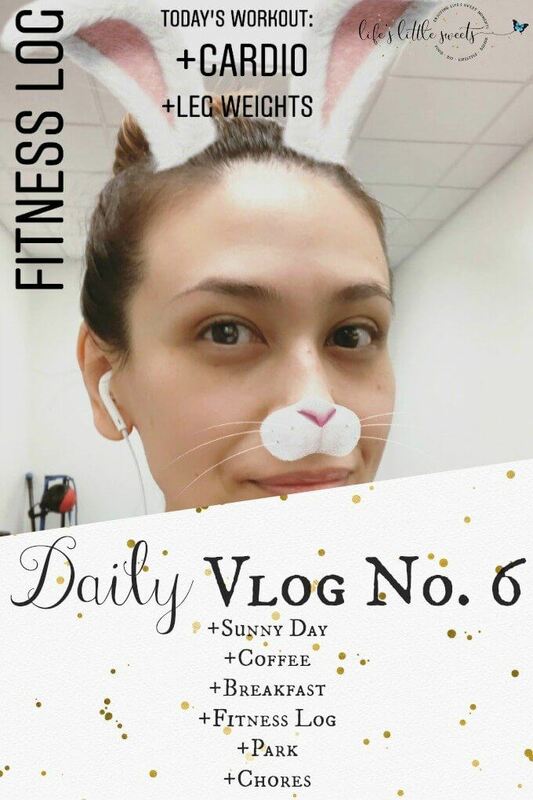 6 – Sunny Day, Coffee, Breakfast, Gym, Fitness Log, Park, Laundry. Hi Everyone, welcome to Daily Vlog No. 6! Did you see the last Daily Vlog? If not, you can see it, here. The day that I vlogged for Daily Vlog No. 6, was one where I had a lot of energy, we were able to go to the gym, the park and had an all around productive day. I definitely feel more energy when it’s sunny out which is pretty normal for just about anyone. It also makes getting out with 2 kiddos much easier than when it’s rainy. 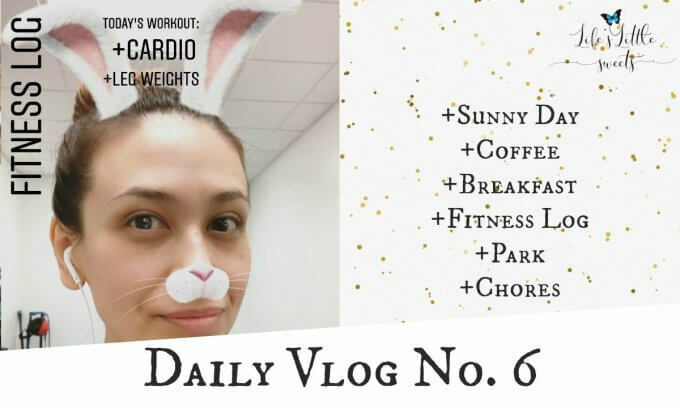 In the video at the bottom of the post, I share some thoughts about why I work out even though I am not someone who is generally “into” working out. *please note: the audio is off in this video, I am not sure why but I apologize for that! Thank you for watching and following along!